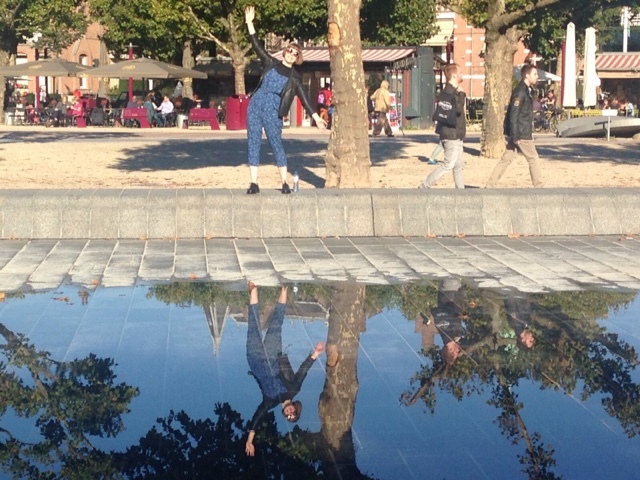 Having just got back from a trip to Amsterdam, I thought I'd share a bit about an obviously very exciting thing when you go to a different city - the fabric shops! 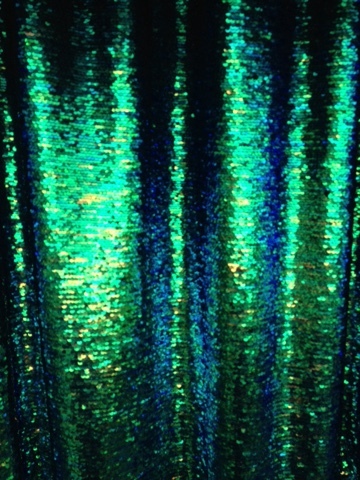 I saw some of the most beautiful, unusual and specialist fabrics that I've ever seen. In fact, I was completely overwhelmed... so much so that I couldn't pick anything to actually buy. So this is by no means a comprehensive guide, but more of a reminder for myself to not get so overwhelmed and BUY SOME FABRIC next time! Most of the shops I went to were based in and along the Albert Cuyp Market which the lovely Laura recommended to me via Twitter. The market sells a bit of everything, but as you walk along it, the fabric stalls and shops start to appear. Above and below are pictures I took of some of the most exciting fabrics I saw - the sort that I almost couldn't bear to cut into! Nanucci Tessuti is along the market road and had some BEAUTIFUL designer fabrics - though they were a bit out of my price range. The one I should've bought! 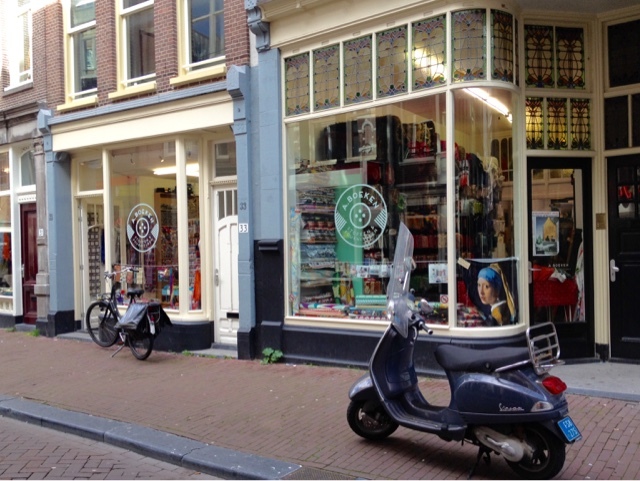 The absolute gem of Amsterdam has to be A.Boeken - it is by far the best stocked haberdashery and fabric shop I have ever visited. The amount of trims, notions, tools and fabrics, was again, absolutely overwhelming - I felt like a child in a toy shop! The fabric range is massive and pushed way past the 'norm'. 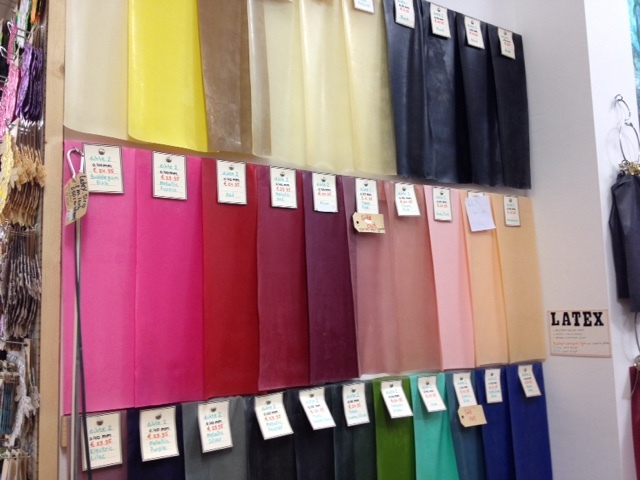 It obviously wasn't for sewing, but they even had a wall of multi-coloured latex that you could buy off the roll/by the sheet - very Amsterdam! 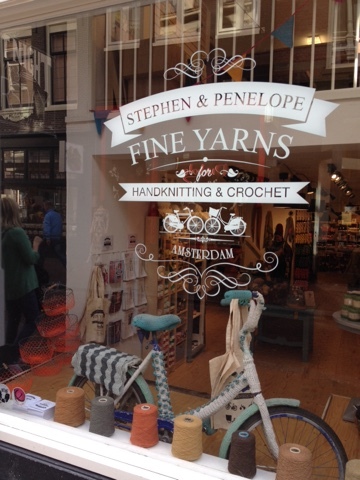 And for those who favour working with yarns, there's Stephen & Penelope right next door. If anyone's visited Loop in London, I'd say it's quite similar. 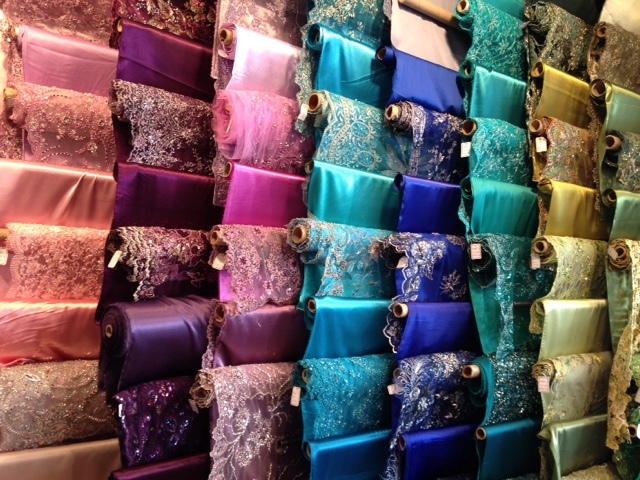 The only thing I found difficult to spot in all of the fabric shops, were nice, drapey viscose or crepes. 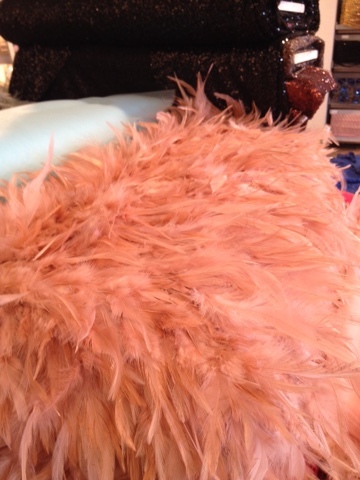 Of course, all of the specialist fabrics more than make up for a slight lack of those for everyday wear! I think I've got my 'hand luggage only' packing down to a fine art now. I wore mostly me-made clothes whilst away, mixed in with a few other bits. Here's my much worn but as of yet un-blogged Kielo Wrap Dress - I wrote about the first one here. My overalls/casual trousers got the most wear (two outfts in one there!). You can make your own using the overall tutorial here. And you may have already seen my last post about my casual trouser to culotte pattern hack. 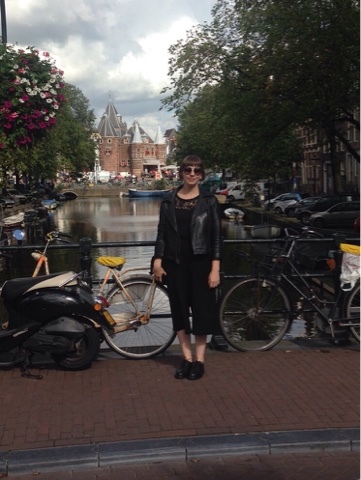 Well here they are again - I just had to get a picture in that was typically Amsterdam: bikes, bridge, flowers, canal. 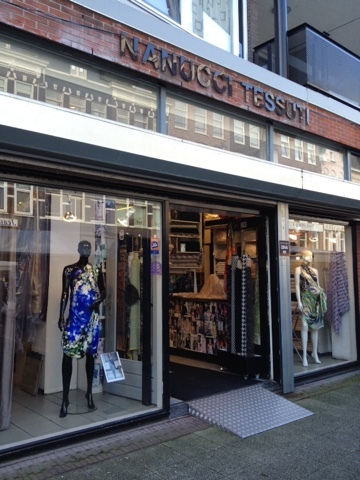 I would love to hear from anyone else who's been fabric shopping in Amsterdam? Unlike me, did you manage to bring anything back? !